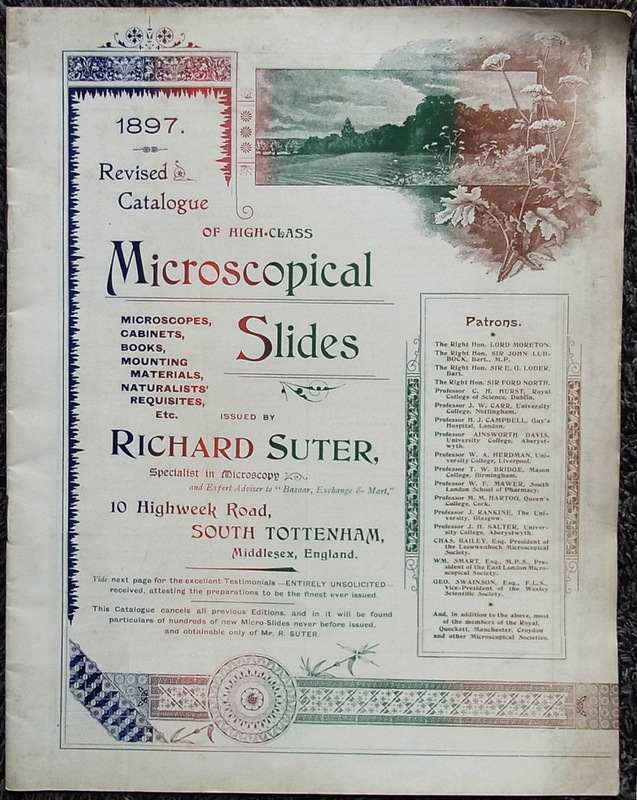 Initially a school teacher, Richard Suter began a microscope slide-making and selling business around 1887. It probably became a full-time occupation during the early 1890s. He prepared a wide range of subjects, all of very good quality. His slides with pink labels are frequently encountered, typeset with his name and address, and the specimen description written in in his distinctive hand (Figures 1 and 2). Other colored papers may occasionally be encountered. The Suter family moved from 5 Highweek Road to 10 Highweek during the summer of 1893, so slides labeled with the earlier address are relatively scarce. Other labels are occasionally seen, printed with only Suter’s name (Figure 3). The dates of their use are not conclusively known. Through insightful comparisons of handwriting, Peter Paisley discovered that Suter also produced slides that bear labels without his printed name (Figure 4). Neither the reason for his use of such labels nor the dates of their use are known. Suter purchased John B. Dancer’s microphotograph negatives and rights to produce slides with that name in 1896, so a number of “JBD”-labeled slides were likely produced and/or sold by Suter. Additionally, he had probably been selling microphotograph slides for several years before then, since he published requests to purchase large quantities of microphotographs in 1888 (Figures 6 and 12). Figure 1. 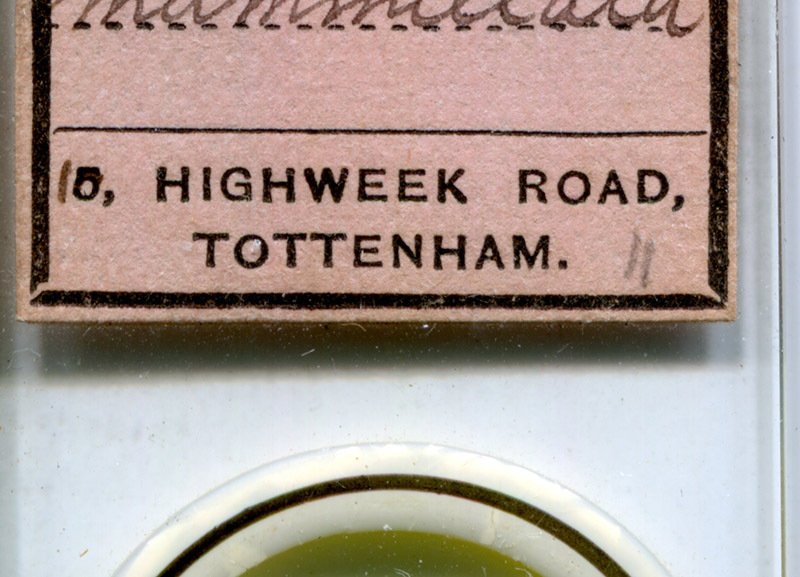 Microscope slides by Richard Suter, bearing labels printed with his name and addresses on Highweek Road, Tottenham. The upper left slide carries the address of 5 Highweek Road, the Suter family’s address until late July, 1893. The slides on the lower row are all printed with the 10 Highweek Road address, dating them from after mid-September, 1893. The slide on the upper right has a typeset number “5”, with a handwritten “10” over that number, indicating production before July, 1893, and sale after that September (see Figure 2). Figure 2. Detail of a slide with a label printed with number “5”, and overwritten with number “10” See Figure 1). Figure 3. 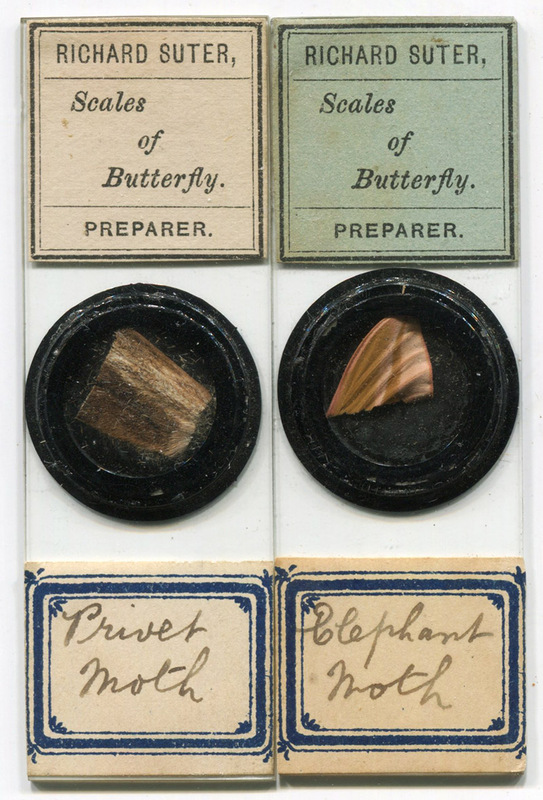 Slides with typeset labels bearing Suter’s name and a generic specimen description. He provided further details on additional, handwritten labels. Figure 4. 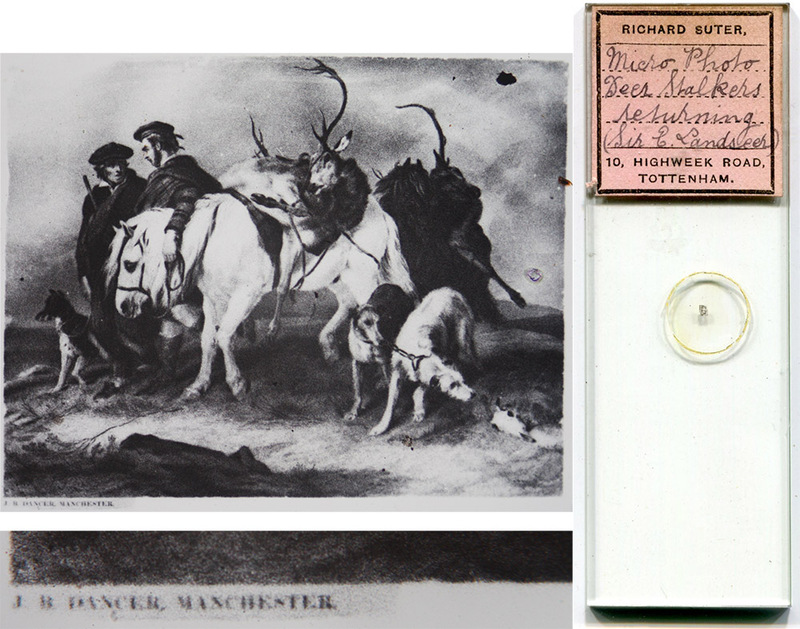 Examples of Richard Suter’s “other” slide labels. The handwriting is clearly his - see Peter Paisley’s “Those other Suter slides” (2010) for additional details, http://www.microscopy-uk.org.uk/mag/artjun10/pp-suter.html. Figure 5. 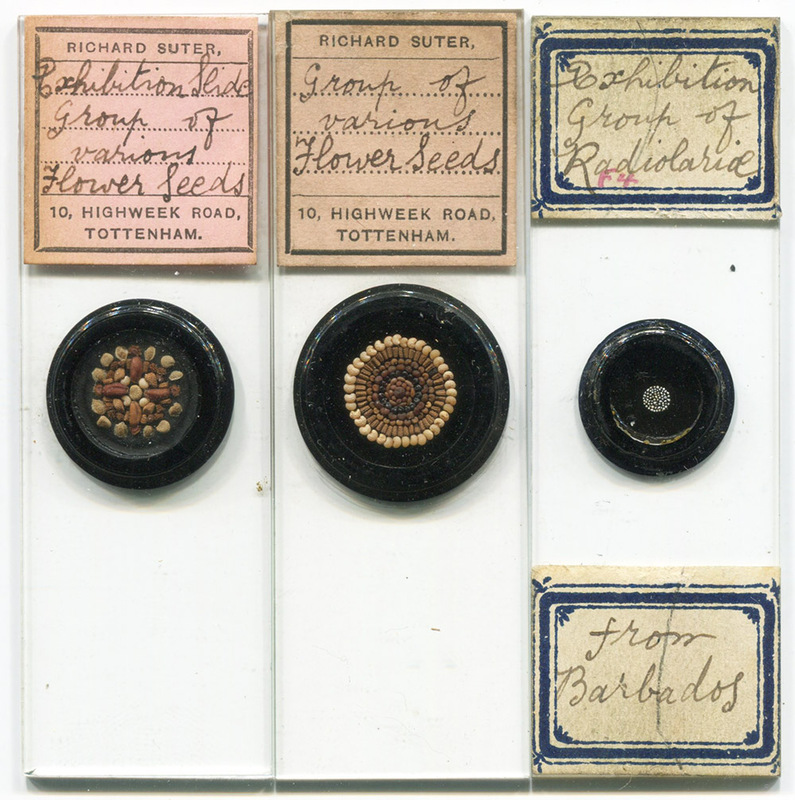 “Exhibition” slides by Richard Suter: arrangements of seeds and radiolaria. Figure 6. A microphotograph slide with a label bearing Richard Suter’s handwriting. The image is of W.E. Gladstone, Prime Minister of the United Kingdom between 1868 and 1894. The origin of the image is not certain. The “frame” around the portrait is the same used by J.B. Dancer in microphotographs 423 and 433, but the image does not match those listed in Bracegirdle and McCormick’s “The Microscopic Photographs of J.B. Dancer”. Advertisements imply that Suter was selling microphotograph slides by 1888, several years before he acquired Dancer’s negatives in 1896. Figure 7. A microphotograph slide with Suter’s label, “The Deer Stalkers Returning”. This was made from a negative by Dancer - his name is included in the photograph - dating it to after Suter acquired Dancer’s stock, in 1896. This image was number 34 in Dancer’s set of microphotographs. Figure 8. During the late 1880s, Suter published requests for “good micro slides”. The first, third, and fifth slide are probably examples of slides acquired by Suter, then resold with his own labels. Each is shown adjacent to a similar slide that has labels from the actual makers: the first four were prepared by John Barnett (1816-1882), the two on the right were made by J.C Tempère (1844-1907). Figure 9. Richard Suter and his microscope, ca. 1900. Adapted from a photograph that was graciously provided by Helen Reed. Figure 10. Richard Suter, later in life. Adapted from a photograph that was graciously provided by Helen Reed. Our slide-maker’s father, also named Richard, was born ca. 1835 in Portsmouth, but was moved with his family to London shortly after his birth. Richard Sr.’s father was a journeyman bookbinder, and the 1851 census recorded that the 15 year-old Richard Sr. also took up that trade. Later in the 1850s, Richard Sr. joined the army, and was sent to India with the 17th Regiment of Lancers. Private Richard Suter received a medal for his service in action at Zeerapoor, on October 29, 1858, and Baroda, on January 1, 1859. On January 1, 1862, Richard Sr. married Ann Theakston in Secunderabad. She was later described a being a “British subject by parentage”, implying birth in India to British parents. Their first child, our microscopist, was born ca. 1864, in Secunderabad. The 17th Lancers were sent back to England in 1865. Richard Sr. was discharged, and resumed his previous occupation of book-binding. His son, the future microscopist, took a different tack. The 1881 census recorded that the seventeen year-old Richard Suter was a “pupil teacher” (i.e. a teacher in training). The 1891 census listed him as “assistant school master”. 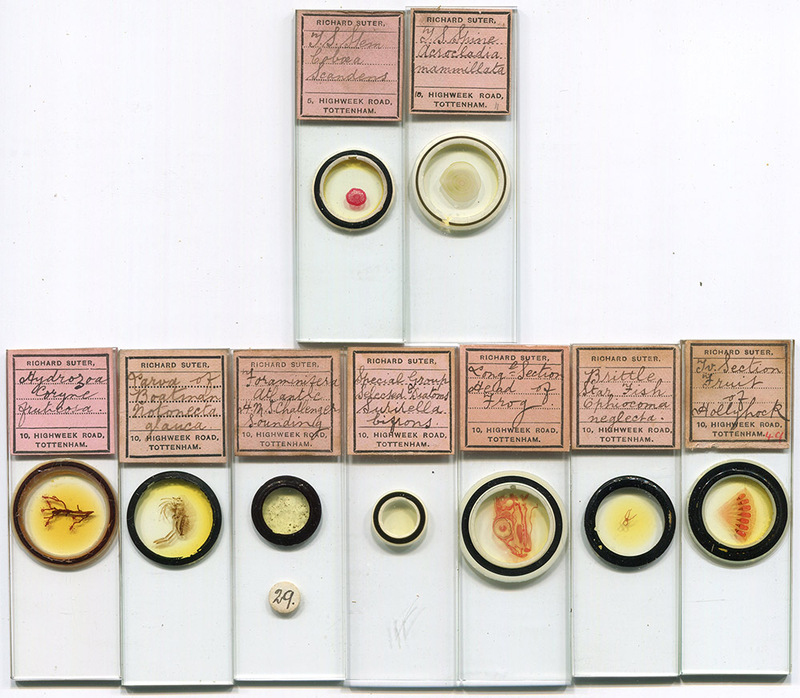 Suter was making microscope slides by the late 1880s. In 1887, he published an exchange offer for “botanical, histological, and other sections for the microscope” (Figure 10). This career turn expanded rapidly. By 1892, Suter was regularly advertising “50,000 choicest microscopic slides of every description in stock”, indicating a robust production and retail enterprise. An 1892 advertisement already referred to a “revised catalogue”. By then, he was probably working full-time as a slide-maker. 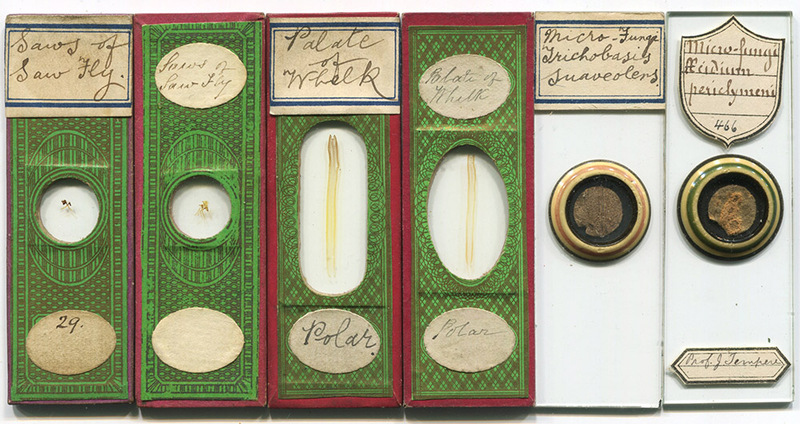 Suter’s microscope slide business operated from his family home, were he lived with his parents and siblings. From the late 1880s, this was a terrace house at 5 Highweek Road, in the Tottenham area of London. During the late summer of 1893, the Suter family moved down the road to 10 Highweek (Figure 14). Richard evidently lived in that house for the remainder of his life. 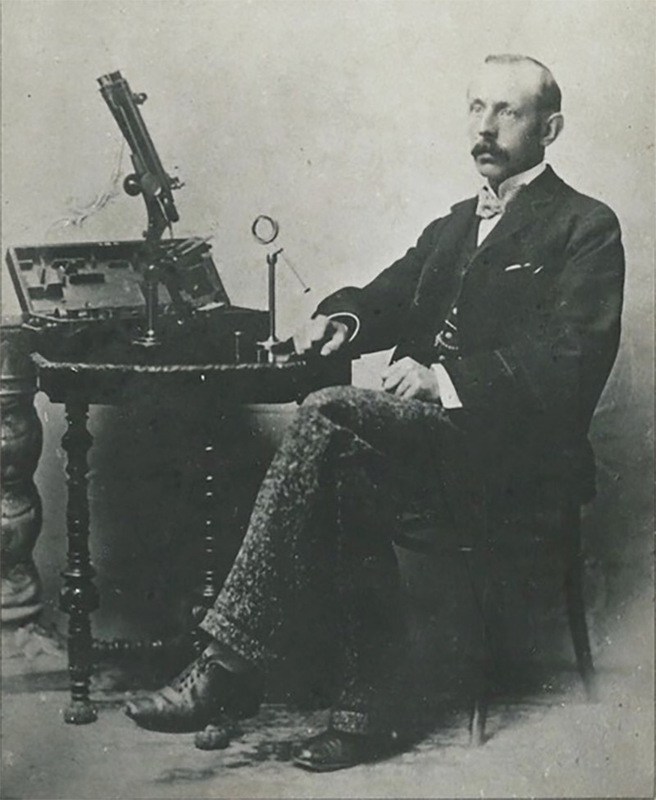 Suter’s 1897 stated that, in addition to microscope sides, he then sold “Microscopes, cabinets, books, mounting materials, naturalists’ requisites, etc.” (Figure 15). An 1898 advertisement by Suter in The American Monthly Microscopical Journal stated that he “buys collections”, suggesting that he was still re-selling used microscope slides. 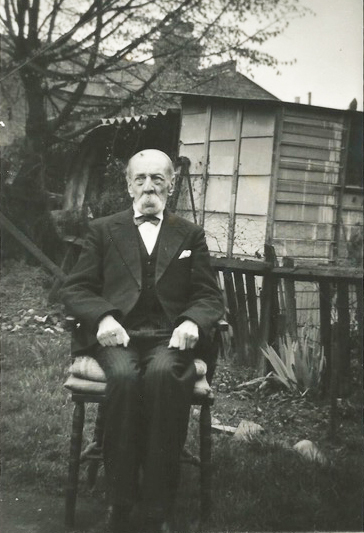 The 1901 census recorded Richard as being a “microscopist”, working from home on his own account. He then shared 10 Highweek with his parents and three much younger siblings (Richard was 36, brothers William and Harry were 18 and 15, respectively, and sister Daisy was 13). The 1911 census reported the same living arrangements, with William and Harry working for a chemist. It also reported that Richard’s mother, Ann, had given birth to 13 children, of whom only 7 were still living. As time went by, and their parents passed away, Richard and Daisy remained at 10 Highweek Road. Richard never married. Daisy had married in 1919, but her husband died in 1923. 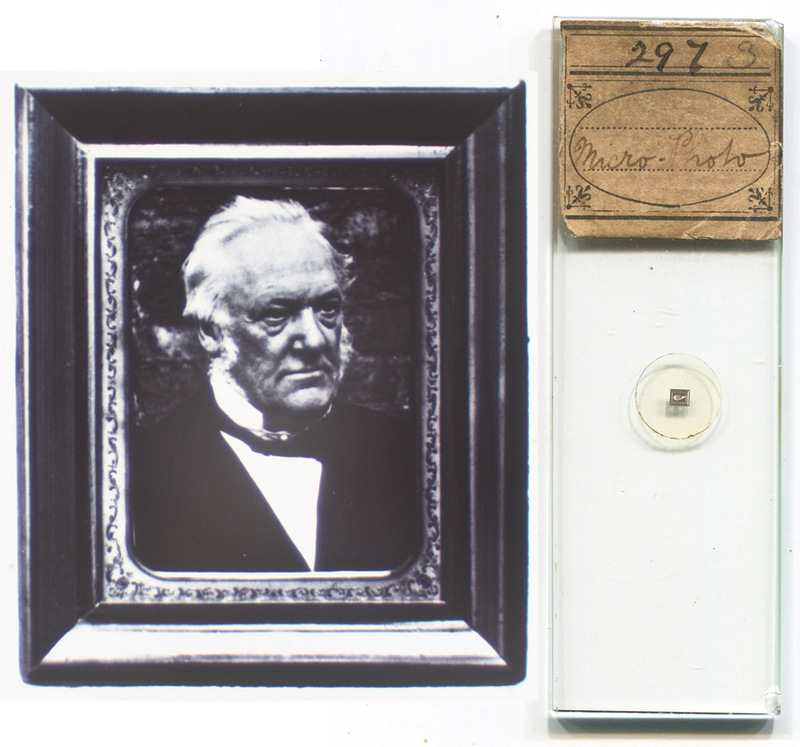 Suter continued to make microscope slides until nearly the end of his life. He died in 1959, at the age of 95. Figure 11. The earliest known microscope-related exchange offers from Richard Suter. The 1887 request appears to request unmounted material. The November 1888 offer was probably a request to obtain a microtome, which would be essential for a slide-maker, although it is possible that he wanted pre-made slides in exchange for a surplus microtome. It is clear that, by December, 1888, Suter was making slides available for exchange. Figure 12. Suter likely sold microphotograph slides early in his career. He didn’t acquire the J.B. Dancer collection of negatives until 1896. Figure 14. Until July 14, 1893, Richard Suter’s advertisements in “English Mechanic and the World of Science” gave his address as 5 Highweek Road. There were no Suter advertisements for the next two months. They resumed on September 15 with his new address, 10 Highweek Road. Figure 15. Cover of Richard Suter’s 1897 catalogue. Adapted for nonprofit, educational purposes from an internet sale site. Figure 16. 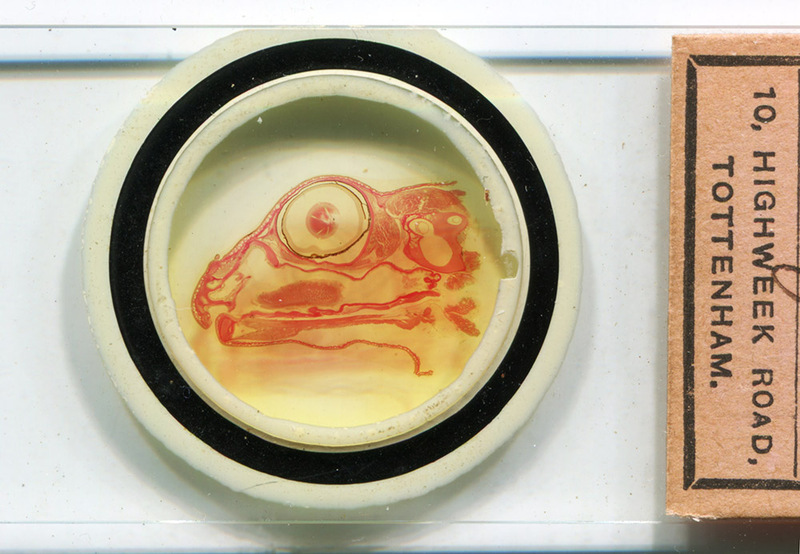 Longitudinal section of the head of a frog, by Richard Suter (see Figure 1). Thank you to Helen Reed for generously sharing family pictures and information on the Suters, and to Peter Paisley for helpful insights on Richard Suter’s slide-making business.